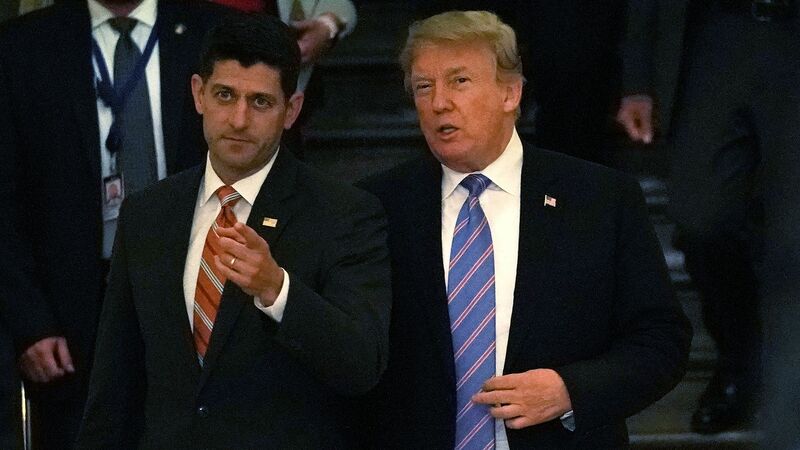 President Trump lashed out at House Speaker Paul Ryan on Twitter Wednesday afternoon, saying Ryan should focus "on holding the Majority rather than giving his opinions on Birthright Citizenship." "Paul Ryan should be focusing on holding the Majority rather than giving his opinions on Birthright Citizenship, something he knows nothing about! Our new Republican Majority will work on this, Closing the Immigration Loopholes and Securing our Border!" The backdrop: Following Axios' reporting that Trump plans to sign an executive order to end birthright citizenship, Ryan told WVLK that Trump "cannot end birthright citizenship with an executive order." Ryan was visiting vulnerable Republican Rep. Andy Barr in Kentucky when he made the comment.